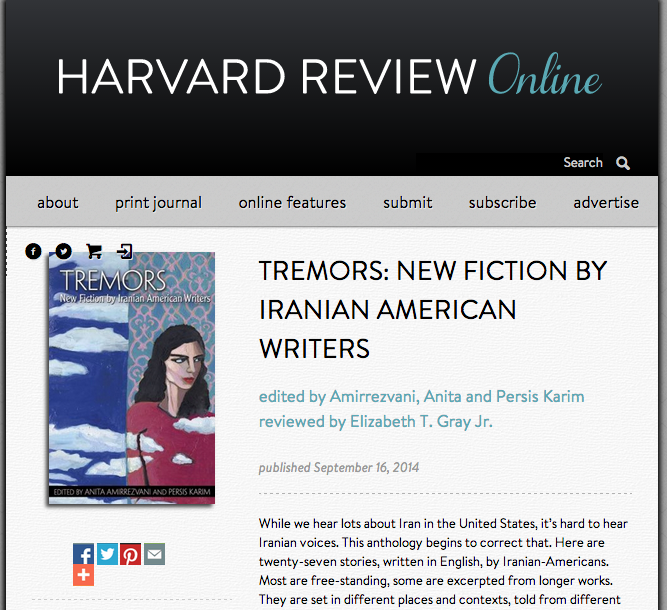 Tremors Archives | Persis Karim, Ph.D.Persis Karim, Ph.D. 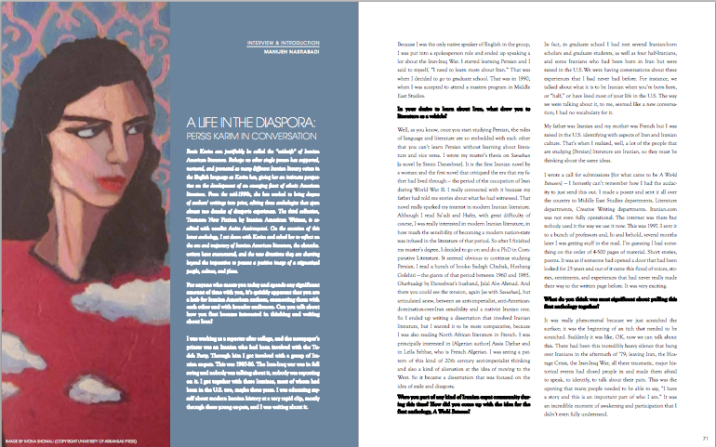 While we hear lots about Iran in the United States, it’s hard to hear Iranian voices. This anthology begins to correct that. 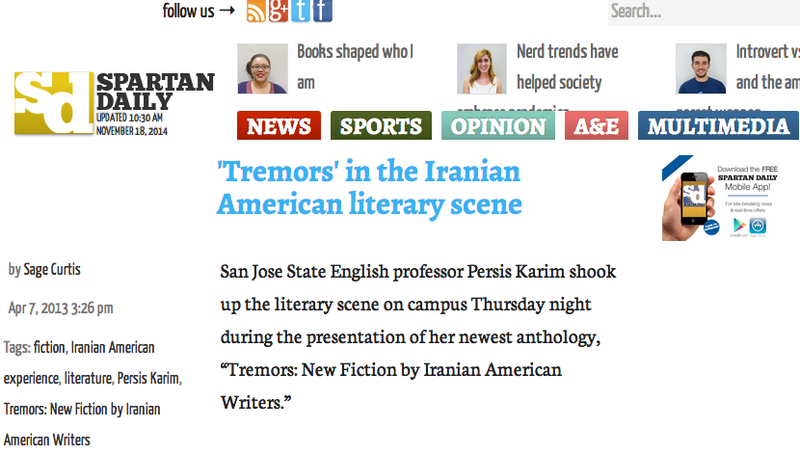 Persis Karim, a pioneer in the field of Iranian American writing, co-edited with Anita Amirrezvani Tremors: New Fiction by Iranian American Writers, (2013). 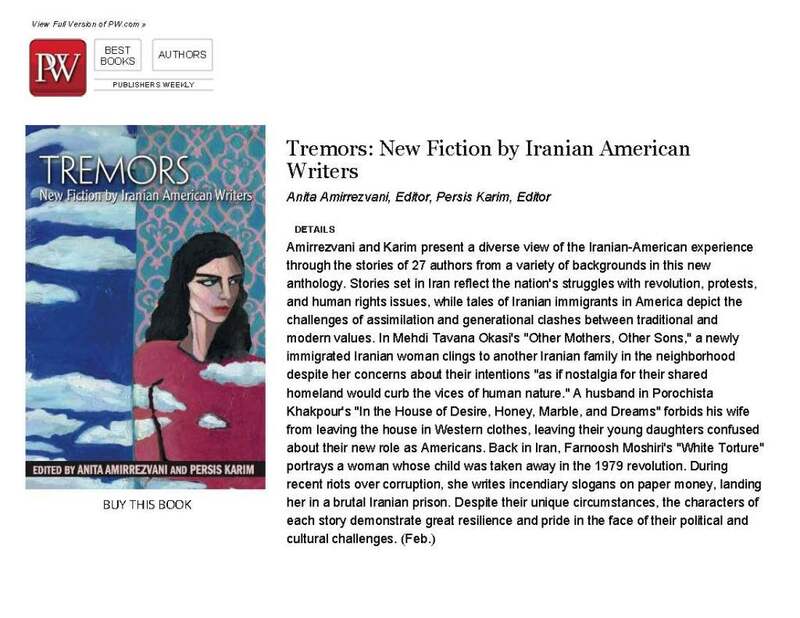 The first anthology dedicated to the Iranian American fiction, this landmark book celebrates the advances of Iranian American literature, especially in the past decade. 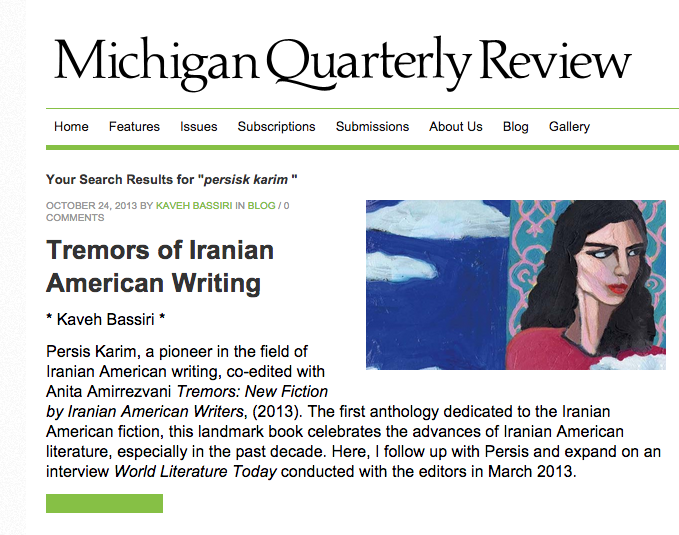 As the notion and possibility of “national literatures” is examined both in the academy and in print culture at large, Karim and Amirrezvani bring together writers, texts, and perspectives that amplify the idea that American literature is world literature. 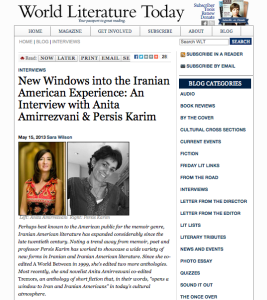 Amirrezvani and Karim present a diverse view of the Iranian-American experience through the stories of 27 authors from a variety of backgrounds in this new anthology. 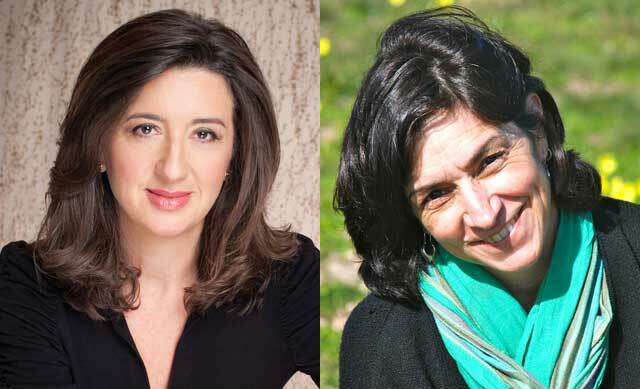 Stories set in Iran reflect the nation’s struggles with revolution, protests, and human rights issues, while tales of Iranian immigrants in America depict the challenges of assimilation and generational clashes between traditional and modern values.